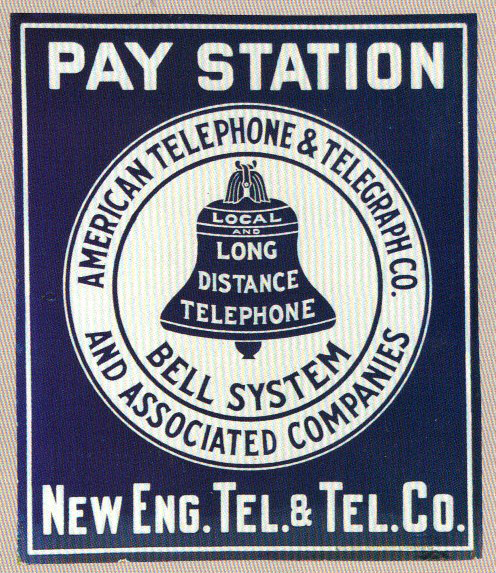 This is a rectangular New England Pay Station porcelain sign. This particular New England Pay Station sign is blue and white. It reads, “Pay Station, New Eng. Tel. & Tel. Co., American Telephone & Telegraph Co. and Associated Companies, Local and Long Distance Telephone Bell System” and features a blue bell in the center.